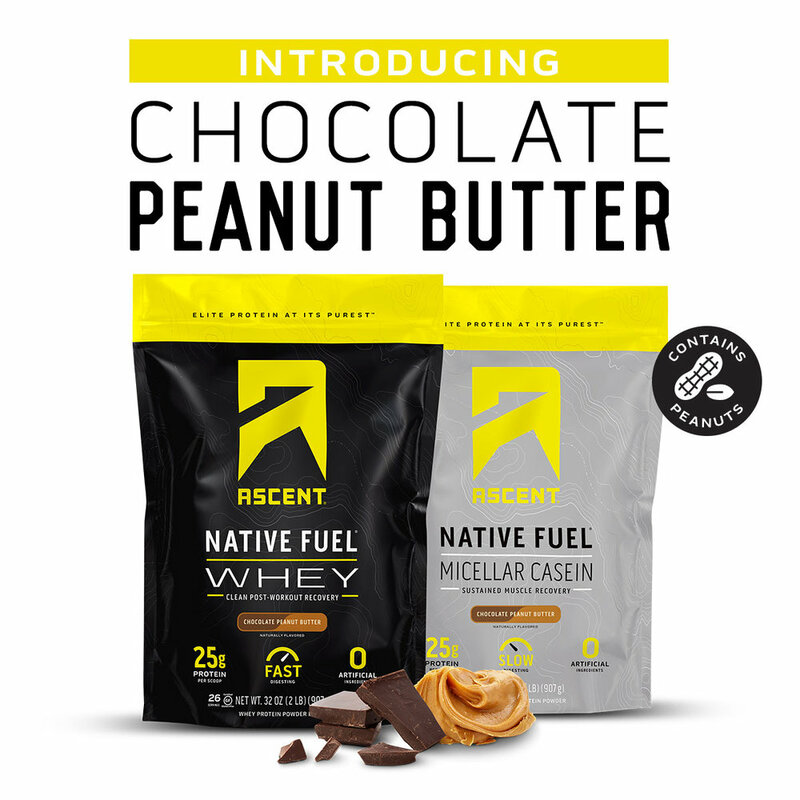 DENVER (Jan. 15, 2019)— Ascent, a sports nutritioncompany committed to helping athletes naturally improve their athletic performance, adds Chocolate Peanut Butter to its family of Native Fuel™Whey and Micellar Casein protein powders starting Jan. 15, 2019. Ascent is committed to using real food ingredients and no artificial flavors or sweeteners throughout its line of pre- and post-workout products. Ascent products are designed to support clean-eating, hard-working athletes in improving their muscle health and performance and reaching their fitness and nutritional goals. Ascent Native Fuel™ Whey Protein is also available in Vanilla, Chocolate, Lemon Sorbet, Cappuccino and Unflavored varieties. Native Fuel™ Micellar Casein Protein is also available in Vanilla Bean and Chocolate flavors. Thenew Chocolate Peanut Butter flavor can be found at gyms across the country, and online at www.ascentprotein.comand www.amazon.com.